A look into the Indian Culture with Three Fun Movies! One of the great things about living around Walt Disney World is that we are never lacking for visitors and house guests. Recently we hosted some friends who had recently spent a number of months working in India. They told us stories about their first hand experiences within the culture including India’s vast film industry. Ironically enough, Disney’s first set of Indian films for North America came to the house the same week. It was great to watch the trio of films, and get insight into another culture with people who had firsthand experience and insight. Although it was a different experience from what we were used to, the films were quite enjoyable and easy to follow despite the subtitles. We really enjoyed sharing this look into foreign films with friends, and it is something we would definitely do again!!! 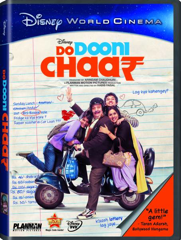 BURBANK, Calif. — The Walt Disney Studios announced June 29 the North American release of three films from India: “Do Dooni Chaar,” “Once Upon a Warrior” and “Zokkomon,” releasing July 26. 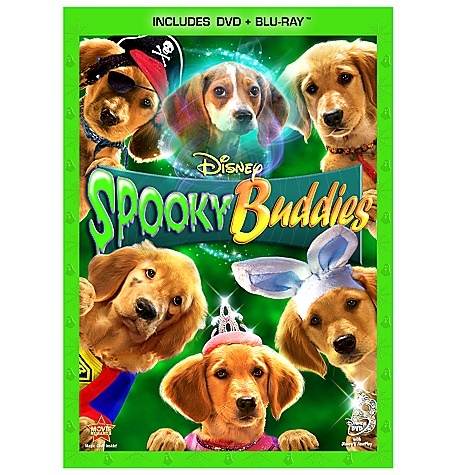 The movies were released simultaneously on DVD, video-on-demand, and digital download and are featured on iTunes. Designed to expand the entertainment options of diverse cultural groups in North America. The movies feature some of the most recognizable local talent from each country of origin. The films are produced in local languages and will be subtitled in English. As the first ever Disney Telugu fantasy adventure, ONCE UPON A WARRIOR is about a swashbuckling warrior on an epic quest to save a mystical young girl from a wicked Queen in the ultimate battle between good and evil. In the tradition of “Pirates of the Caribbean” and “Prince of Persia,” the film features an all-star cast including Siddharth, Shruti Haasan and Lakshmi Manchu. 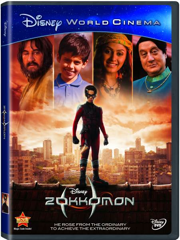 Zokkomon is a thrilling Hindi action adventure film about an ordinary boy who overcomes extraordinary challenges to become a magical hero. The film had its World Premiere at the Indian Film Festival in Los Angelas and a limided theatrical release. Featuring well-known Indian stars Darsheel Safary and Anupam Kher (‘Bend it Like Beckham”) the film features music by India’s most popular trio, Shankar Ehsaan Loy. Coming from a theater background, I have always had a great appreciation for all of Shakespeare’s works. Seeing the greatest love story ever told meets garden gnomes come in the mail didn’t leave me with great expectations. Of course in true fashion, my little princess saw it, and immediately had to watch. From the beginning, I was pleasantly surprised. This comical, off the wall adaptation of the bards classic tragedy was much better than expected. The story is set in the gardens of feuding neighbors kept by families of garden gnomes and lawn ornaments. The comic antics ensue as everything from pink plastic flamingos, lawnmower races, to covert missions to destroy flower beds unfold. From the director of Shreck 2 comes your chance to step into the secret world of garden gnomes – Gnomeo & Juliet. Perfect for the whole family, this fresh and funny makeover of one of the world’s most timeless stories features music from Sir Elton John, and the voice talents of Emily Blunt, James McAvoy and Sir Michael Cane. Caught up in a fued between neighbors, Gnomeo and Juliet must overcome as many obstacles an their namesakes. But with flamboyant pink flamingos and epic lawnmower races, can this young couple find lasting happiness? Complete withhilarious never-before-seen bonus features, Gnomeo & Juliet is an out-of-the-ordinary animated comedy your entire familty will love. We just gnome it! Although nothing aside from the main characters names follow the original story, something pointed out as Gnomeo has a conversation with a statue of Shakespeare, it is a cute movie with lots of laughs. Zoe and I really enjoyed it, and would recommend it for anyone looking for a laugh! 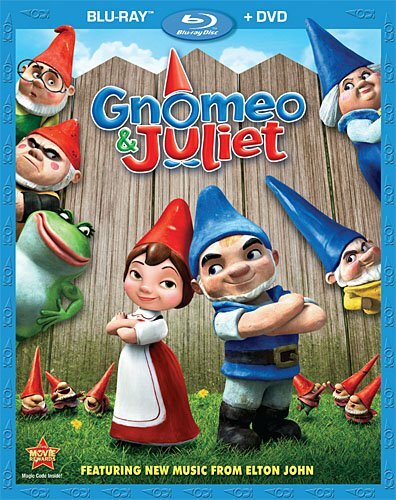 Gnomeo & Juliet available on Two-Disc Blu-ray™/ DVD Combo on May 24, 2011. The greatest love story ever told, starring…garden gnomes? In “Gnomeo & Juliet,” Shakespeare’s revered tale gets a comical, off-the-wall makeover. Directed by Kelly Asbury (co-director of “Shrek 2”) and showcasing both classic and original songs by Elton John, the film features the voices of James McAvoy and Emily Blunt as Gnomeo and Juliet.